After all the dust has settled on a year of unprecedented and chaotic movement among states to gain a voice in the presidential primary process, it could be Florida, even more than Iowa and New Hampshire, that turns out to be one of the biggest winners. At the very least, the state is well-positioned to have significant influence on who becomes the Republican presidential nominee. 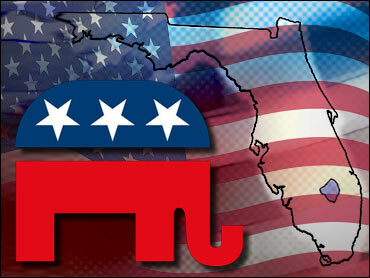 The Florida primary is scheduled for Jan. 29. That's 10 days after the next earliest Republican primary, in South Carolina, and a week before what has become known as "super-duper Tuesday" -- the Feb. 5 showdown when more than 20 states, including delegate-rich California, will hold their nominating contests. That means there will be more than two weeks during which the campaigns -- and the national political media -- will turn their collective gaze to Florida. If no clear Republican frontrunner emerges after the early contests (in Iowa, Wyoming, New Hampshire, Michigan and South Carolina) -- a very real possibility -- a win or very strong finish in the Sunshine State will be essential for candidates looking to garner momentum and positive coverage going into Feb. 5. "Florida is absolutely important," says Republican strategist Scott Reed, who managed Bob Dole's presidential campaign in 1996 and is not currently affiliated with a candidate. "It's not only the first big state, but it's the key to the South. It sends a huge message about the general election, and it's really the warm-up act for Super Tuesday." Since this is Florida politics, there is, of course, a twist: When Florida set its primary for Jan. 29, the state violated national Republican and Democratic Party rules that limit when states can schedule their nominating contests. The Democratic National Committee punished Florida for this transgression by barring its candidates from campaigning (but not fundraising) in the state and threatening not to seat Florida's delegates at the national convention. The move, which would make the state's Democratic primary essentially meaningless, prompted a lawsuit from Florida Sen. Bill Nelson and Rep. Alcee L. Hastings accusing the DNC and Florida Secretary of State Kurt S. Browning of violating the constitutional rights of Florida voters. Florida Republicans also potentially face punishment for violating their national party's rules. But while the Florida GOP could lose half its delegates, Republican candidates have not been barred from campaigning in the state. And Floridians from both parties seem to believe that their delegates will ultimately be counted. Says Florida Democratic Party Communications Director Mark Bubriski: "We feel pretty confident that the eventual Democratic nominee will seat our delegates at the national convention." The dustup has turned Florida, the nation's fourth largest state, into a wide-open playing field for Republicans, and they have taken advantage. The state Republican Party has run an ad proclaiming that while "the (Democratic) contenders have come here to take our money, they won't stand up for our right to be heard" and imploring Floridians to "make your vote count -- vote Republican." The Republican candidates, meanwhile, have campaigned aggressively in Florida, none more so than Rudy Giuliani, who has poured money into the state. "Florida is shaping up to be Giuliani's make-or-break state," says Reed. "He's made it clear that he's focusing on the big states with his financial resources and name identification. The question is if he can survive the month of January not doing well in these early caucuses and primaries. It's a strategy that has never been tried before and it appears to be the road Giuliani's taking." A Powerpoint presentation from the Giuliani campaign that leaked over the summer characterized Florida as central to Giuliani's chances, characterizing the state as the "firewall" in his presidential bid. A recent poll by Quinnipiac University showed Giuliani in the lead in Florida, with 27 percent of the vote; he's followed by Fred Thompson at 19 percent, Mitt Romney at 17 percent, and Sen. John McCain at 8 percent. Romney has spent money in Florida but has not campaigned there as extensively as Giuliani; McCain has largely ignored the state, though he was the only Republican candidate to commit to the Univision-sponsored presidential debate planned for Sept. 16 in Miami, which was eventually rescheduled. This weekend, however, all four frontrunners will be in Florida, speaking on Saturday as part of this weekend's Republican Party of Florida convention, "Presidency IV" -- a fundraiser and confab on Oct. 20 and 21 that will culminate in a Fox News-sponsored Republican debate Sunday night featuring all the GOP candidates. All the candidates will be hoping to curry favor with Charlie Crist, Florida's popular Republican governor and one of the biggest potential endorsements out there. The Florida Republican Party faithful, meanwhile, will be looking for a candidate with the kinds of positions and rhetoric that they can rally around. "It's fundamental for all of the candidates to give Republicans a reason to turn out and to get excited about the election next year," says Coral Gables-based political consultant Carlos Curbelo, who is advising Thompson on the Hispanic community and previously worked for McCain. "The way you do that is by sticking to the conservative principles that got us congressional majorities in 1994 and won us the White House in the last two presidential elections." Curbelo argues candidates need to stress fiscal responsibility and strength in handling terrorism and national defense when speaking to Florida Republicans. "I think that because Florida is so sensitive to this issue of drilling near the Florida coast, Floridians are very anxious to find ways to decrease our dependence on foreign oil in a responsible way, where we don't put our beaches and our economy in jeopardy," he says. "Particularly in the Hispanic community, we are all aware the danger that Fidel Castro and Hugo Chavez pose to the United States, and we want to find a way to stop depending on those leaders."